Several North Texas area chambers of commerce now offer association health plans (AHPs) to current members in collaboration with UnitedHealthcare. Through the North Texas Employer Health Plan Cooperative, small groups in the Dallas-Fort Worth area may take advantage of group plan designs and rates that are available to large employers, and can be better tailored to the needs of your employees. Take advantage of this benefit from your chamber membership today. 2) Does your small business have 2-50 employees? If you can answer yes to ALL 3 qualifications, then you are eligible. Eligible agents must both be located within the participating counties and be members of an affiliate chamber. Plans provided through United Healthcare. Seek out a member of the Weatherford Chamber who sells insurance and inquire about this Association Health Plan (AHP) through United Healthcare. 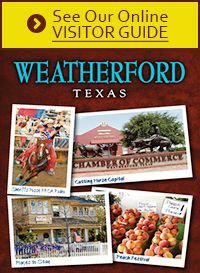 To find a Weatherford Chamber member who sells insurance, please see our member directory. Your participation in the North Texas Employer Health Plan Cooperative requires that your business maintain its membership in good standing with the Weatherford Chamber of Commerce or any affiliate chamber in the list provided below. Failure to do so will result in unenrollment from the AHP plan. What does the co-op offer? Health care providers across the nation and in their local area, with a network reaching 98 percent of the population. Innovative tools helping enrollees manage their benefits and stay healthier. Value-added benefits such as flexible savings accounts, employee assistance programs and wellness programs. Chambers of commerce were founded on the idea that the power of small businesses is mighty when they join together. This is why our North Texas area chambers of commerce are proud to provide our member businesses with affordable health and wellness coverage through the North Texas Employers Health Plan Cooperative. Q: Is this a “skinny” plan? A: No, these are NOT “skinny” plans. These are the most popular plans that are offered today to large employers nationwide. Q: How will my business and our employees be rated? A: No medical underwriting is required for our North Texas affiliate chambers of commerce members. Guaranteed coverage for pre-existing conditions. Rating is based on company demographics and census information, not based on health conditions. Q: How much money will my company save? A: Company savings could be up to 15% depending on the company and employee demographics. Q: How do I purchase a plan? A: Contact any of your chamber's health insurance providers listed in the directory of members or contact the Weatherford Chamber office for a listing of eligible agents. 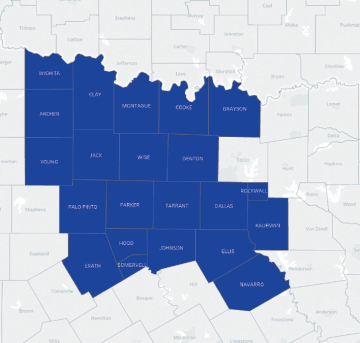 Counties included in the co-op: Archer, Clay, Cooke, Dallas, Denton, Ellis, Erath, Grayson, Hood, Jack, Johnson, Kaufman, Montague, Navarro, Palo Pinto, Parker, Rockwall, Somervell, Tarrant, Wichita, Wise, and Young.